I will truly do my best to be kind, and not go off on a total rant. 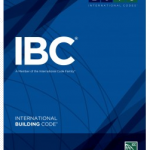 The most important point I am going to make is this – just because a Building Official doesn’t have an issue with something, does not make it either Code Conforming, or structurally sound. If I was in Code Enforcement, I would have demanded you provide calculations sealed by a registered professional engineer to confirm the adequacy of this design. In My Humble Opinion, what you have is nothing short of terrifying. In the event of the threat of a strong wind, I would encourage you to remove any possessions you value from your building, as well as anything of value which is downwind from the building. Also, make sure you have the building well insured. There are numerous commercially available post base metal brackets available. Very few of them are rated to be able to withstand moment (bending) forces. There is a very good possibility you could have purchased adequate and tested metal brackets, for less than what it cost to have the local welder fabricate these up for you. From the photo, it appears the diameter of the holes is fairly small. If the columns are very close together, or the building has a very small span, they may be adequate to support the building from settling, as well as other issues. Buildings of all sorts fail, but very few which have a RDP (Registered Design Professional) involved will ever fail, and those which do are almost universally due to loads being placed upon the building in excess of the design parameters, materials of lesser quality have been substituted, or plans were not followed. Armchair engineering is rarely a good choice. My best recommendation to you would be to hire a registered professional engineer to do a site evaluation of your building. He/she can determine if what is in place is adequate. If not, the RDP can design repairs to bring the building up to standards which will withstand the climactic loads which will be placed upon it. Best of Luck…and let me know how it turns out! 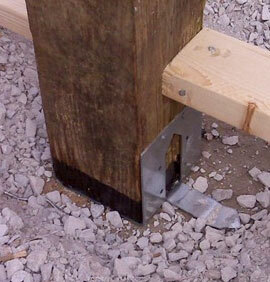 This entry was posted in Pole Barn Structure, Footings and tagged non-engineered buildings, pole barn holes, pole building footing on March 8, 2013 by admin. Some or all of a building collapses in a wind or snow storm. Upon examination, it is determined the building had several major weaknesses due to lacking engineering. The building owner is frustrated and angry as he truly believed he had purchased a properly engineered building. Calculate all loads and load combinations to which the building will be subjected. Determine how loads are distributed to building elements (this step is known as structural analysis). Then select components and connections capable of handling forces to which they will be subjected. In practice, selected components and connections will directly influence structural analysis. A fully engineered building is one in which all structural component interactions are properly accounted for during structural analyses, and forces resulting from these analyses are used to size all components. Non-engineered building design processes do not account for component loads or actual component strengths. In the middle lies a partially engineered building. In snow country, many collapsed building failures are triggered by unbalanced snow loads (drift or sliding snow loads) which structures should easily withstand. Upon forensic failure review, it becomes obvious these buildings were not fully engineered. This engineering lack can be attributed to many companies involved in low or moderate risk building construction does not employ engineers. Nor do they hire an engineer to perform structural engineering calculations for buildings they construct. 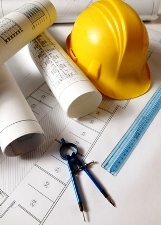 Each year this lack of responsible building designing results in numerous buildings constructed which contain multiple components and/or connections not sized to handle loads the building is expected to experience. Companies which erect or provide non-engineered buildings generally try to copy designs they have seen elsewhere. This causes a myriad of problems. Simply copying, altering and/or scaling up an existing design completely ignores the fact loads like wind and snow are highly dependent on size, shape, orientation and building location. Also local topography characteristics and size, shape and orientation of attached and surrounding structures influence design. Additionally, snow, wind and other structural loads act in a variety of combinations and a building must be designed to handle all load combinations to which it could be subjected. Total ignorance of applicable loads and load combinations is a non-engineered building design hallmark and explains why so many buildings are damaged by wind and unbalanced snow loads which would not damage a fully engineered building. Extremely weak connections between components are prevalent in non-engineered structures. Stresses which surround bolts, screws and nails are complex and control fastener size, spacing and placement relative to component ends and edges they connect. These conditions are seldom realized by builders attempting to mimic other building designs. Improperly assembled connections trigger and/or contribute to many building failures. Some building companies are established by individuals who begin erecting buildings for companies which employ engineers and sell fully engineered packages. While I applaud anyone’s entrepreneurialism in starting their own business, it is indeed scary when some of these individuals start erecting or providing non-engineered buildings. Participating in engineered building erection does not make one an expert in building design, no more than designing a building makes one an expert in safe and efficient building construction. Very few builders, architects, code officials and non-structural engineers understand the true complexity of a fully engineered pole building system. Several building elements perform multiple functions not apparent or understood by those not actively engaged in post-frame building engineering. In addition to having no idea of loads to which a component is subjected, builders are not familiar with all methods available to resist applied loads and do not have the expertise needed to determine proper size, support system and connection designs for a building component. One of my pet peeves is builders who call me and argue with me over “how you should design your buildings” based on the 5 or 6 pole buildings they’ve put up over the past 10 years. Just because they didn’t fall down (yet), is their claim to be the expert! Sadly, clients too often are duped by these guys because: 1. “This is just the way we DO buildings here” and 2. “Joe has been building around here for 30 years so he must know”. Again, just because “Joe’s” buildings haven’t yet fallen down (and maybe never will) does not guarantee longevity and more importantly not calculated safety factors. When I owned Apex Roof Truss, we sold a set of 60′ trusses to a builder for a building up north. Only after the building collapsed due to a record snowfall, did we get to see photos of it prior to collapse. At the time, there were several feet of snow on the roof, and the purlins between the trusses were sagging a good three inches between the trusses. Now the builder (who had written us a bum check for the trusses and his contractor registration had expired) built the building “the way he always did”. Two problems. One, he used 2×6 purlins on edge, where the truss spacing and snow load would have taken 2×8 to carry the load (hence the hug sag) and two, he left out most of the required truss bracing. When the purlins started breaking, everything else started sucking in behind them. Come back tomorrow for Part 2 of 3 in my rant on under designed buildings – meaning NON –engineered pole buildings. This entry was posted in Pole Building Comparisons, Building Department, Pole Barn Planning, Pole Barn Structure and tagged engineered pole building, non-engineered buildings, post-fram building engineering on December 26, 2011 by admin.